My analysis for SB47 is up over at Deadspin and Slate. I took a look at some of the more interesting decisions from the game--the fake FG, the intentional safety, and a couple 4th downs. But the biggest decisions in the game turned out to be the littlest ones. If there were ever a case study in the importance of saving your 2nd half timeouts, this game should be it. Not to imply anything wrong with the model, but there are certain things it doesn't factor because they're rarely impactful or can't be measured quantitively. Yet some of these things are possible for people to foresee). After the Raven's unexpected wins, was there anything you think a knowledgable observer might have predicted would have run counter to the model? Or, more generally, circumstances when the model will be wrong (the Panther's coaching, etc.)? I assume you're talking about the pre-game probability model. Personnel changes would be the biggest: Injuries have a big effect, plus simple changes. Kaepernick replacing Smith. The Ravens' revamped o-line with McKinnie at LT. Coaching, both in terms of leadership and x's and o's, is important, but that's going to show up in the season stats. I think there are some rare exceptions to the fact that special teams play is essentially unpredictable. There are certainly benefits to having Devin Hester in his prime or Sebastian Janikowski on a team. The model ignores ST. Interesting read! 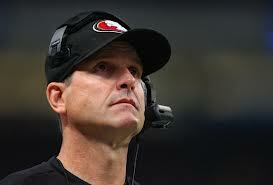 While watching the game the 4th and 2 following the roughing penalty struck me as the most egregious coaching mistake. I was actually surprised at how few bad decisions were made compared to a normal game, and we even saw the elusive good decision with the fake FG. Having watched other 49ers games this season I'd note that Kaepernick mishandling the playclock/timeouts seems to be standard. "But I didn't realize how much time punter Sam Koch would be able to burn. The Ravens ran eight seconds off the clock, thanks partially to a quirk in the rules. Since the penalty for holding in the end zone is, well, a safety, the Baltimore linemen could hold all night long without repercussion. Had a flag been thrown, the outcome would have been exactly the same." How is it a quirk in the rules that makes it possible? If holding in the endzone were half the distance to the goal, the Ravens would have still been able to hold with impunity - what's SF going to do? Give them an extra play? Ravens can do anything with impunity, actually - hold, chop block, hands to the face, etc, and get away with it. Not a lot of good solutions. You could do something like make committing one of those penalties in the endzone with the lead in the final minute worse than a regular safety - a 3-point safety, or you kick off from the 10 instead of the 20. But that seems like a poor way to handle it. The other is to let a team behind and on defense in the final minute of a game accept a penalty and reset the game clock to where it was before a play. This actually makes a lot of sense, as otherwise a team could run out quite a bit of time at the end of the game by committing every blocking-related penalty in the book on consecutive plays.